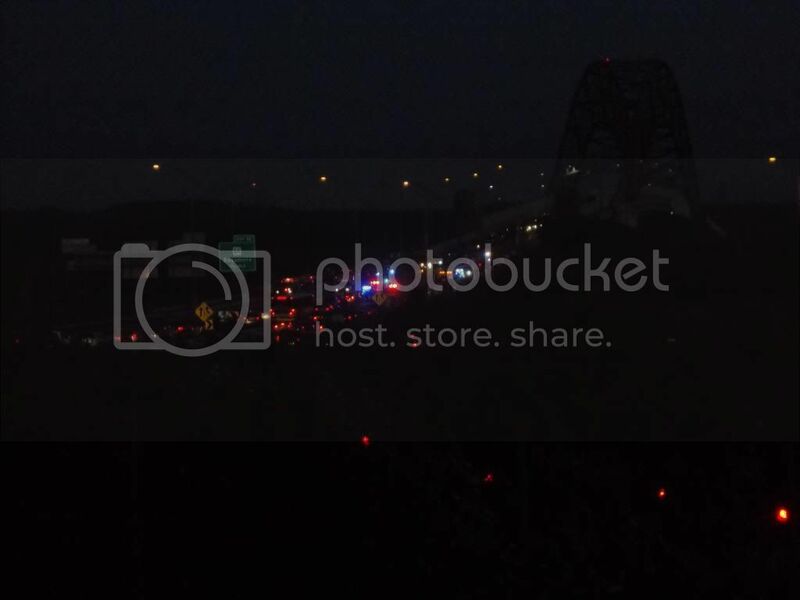 We're just popping by to let you know that there appears to be an accident ON the Sagamore Bridge. The whole police force is up there, a lot of the fire department, too, and traffic is totally stopped both ways. You may want to use the Bourne Bridge. I'd walk up there and take a picture, but it's sort of muggy and I was running around all day. UPDATE: Stephen went and got one. The accident appears to be on the mainland side slope of the bridge, if that helps you. It doesn't appear to matter what lane it's in, because the Sagamore Bride is a big parking lot atm. We'll be back with an update when we find out what's what, although the sirens have been going for a half hour now. UPDATE: It was a hit and run, one dead, three injured.